The 6th National Biobank Symposium was held in Berlin from 6 to 7 December 2017, bringing together 260 biobank experts to discuss the latest developments in biobanking. The German Biobank Node (GBN) co-organised the annual meeting together with TMF e. V.
GBN presented the latest developments of the German Biobank Alliance in numerous presentations. With the start of GBN’s second funding phase in May 2017, eleven biobanks throughout Germany are working together in the German Biobank Alliance to network and harmonise their structures. The activities started very successfully, as Dr. Cornelia Rufenach and Prof. Michael Hummel (GBN) reported at the symposium. GBN wants to increase the usage of the 4.5 million liquid and 3 million tissue samples of the German Biobank Alliance. A prerequisite for this is a central directory which provides a quick overview and uncomplicated access to the samples available. The foundations for a nationwide sample and data exchange via suitable IT interfaces will be laid in the next three years. 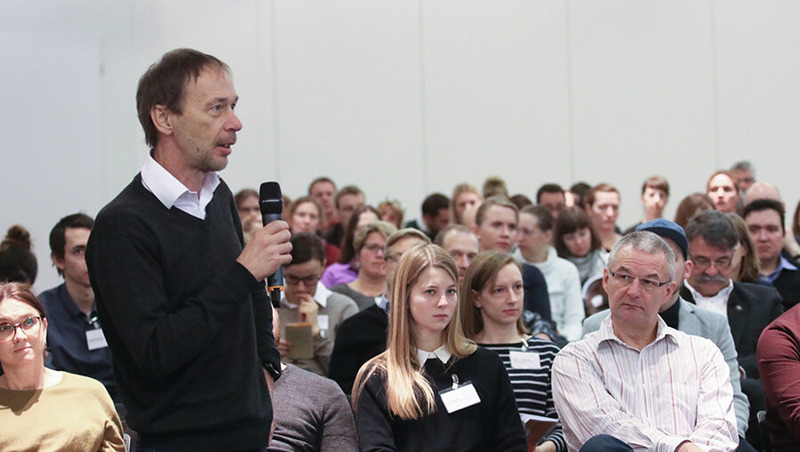 “We need to shift from a scientific-driven organisation to a service-driven organisation” was the message from Erik Steinfelder, new Director General of BBMRI-ERIC, to the biobanking community. In order to act sustainably, biobanks must respond to the needs of all stakeholders and cater towards the needs of all stakeholders.